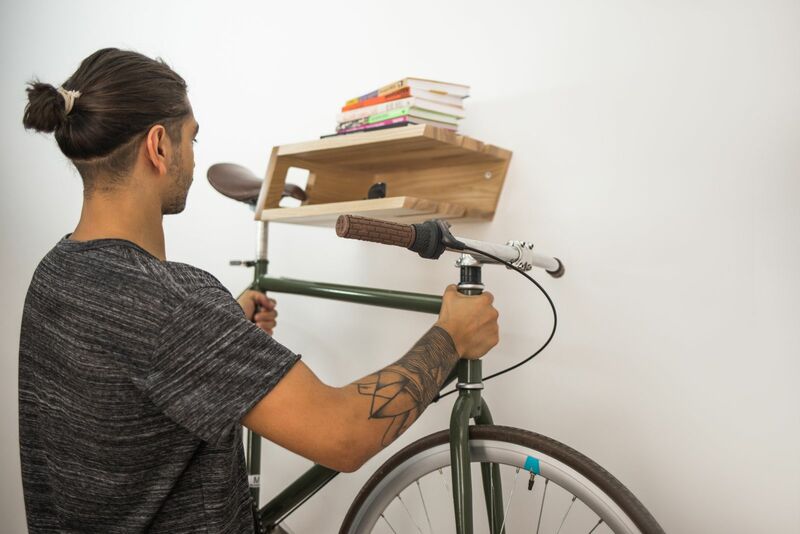 Their latest development is designed to make life easy for every cyclist that can store any type of bike. 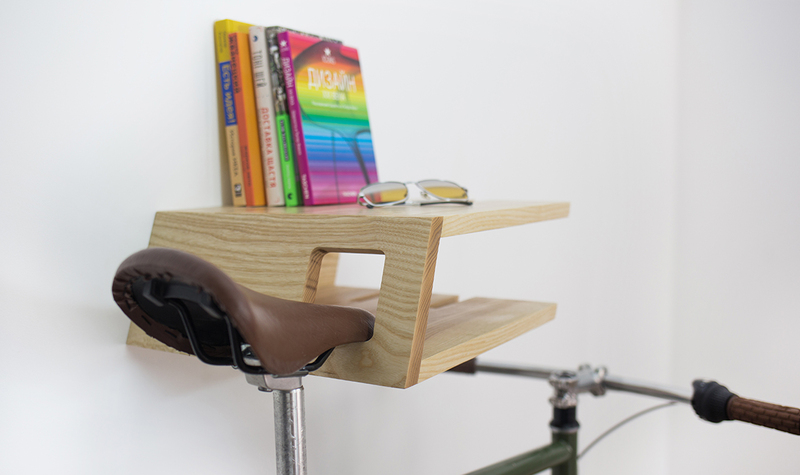 Each part of the shelf assumes functionality and convenience. Two surfaces allow you to place books, flowers, a helmet and other trifles for which so difficult to find the right place. We also envisaged the possibility of storing a couple of skateboards at the same time as a bicycle, which usually take up space and create confusion. The shelf is made of solid ash wood and covered with natural varnish without the content of harmful substances and preserves the true texture of the wood. The brand twonee is formed by Max and Oleg — two friends and Twonee co-founders. In university, they were dreaming about our own project to create cool stuff for others like us — those who appreciate good design. Twonne was born in 2015 and based in Odessa, Ukraine with worldwide outlook. The rhythm of life increases all time, numbers of stuff, gadgets that we need and love grows and get more important to organize your time and space to be in harmony with the modern world. So, the basic idea is to create functional products that make life easy with clean and modern design at the same time. They spend time with our products, studying each to ensure that it meets a high standard of quality and ergonomic.